optoNCDT ILR: These Sensors measure without contact according to the Time-of-flight principle. 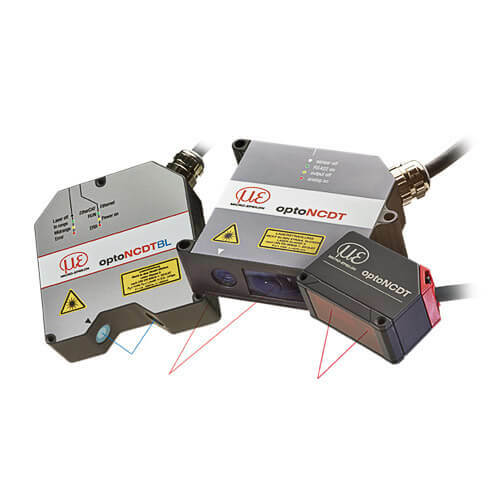 optoNCDT 1xxx / 22xx: These Sensors measure without contact using Laser triangulation. optoNCDT 24xx: The technique is based on the Confocal chromatic principle.